The history of Christmas gifts dates back when the three Wise Men handed presents to the infant Jesus. Since then, gift giving has been part of the yuletide season all over the Christian world. 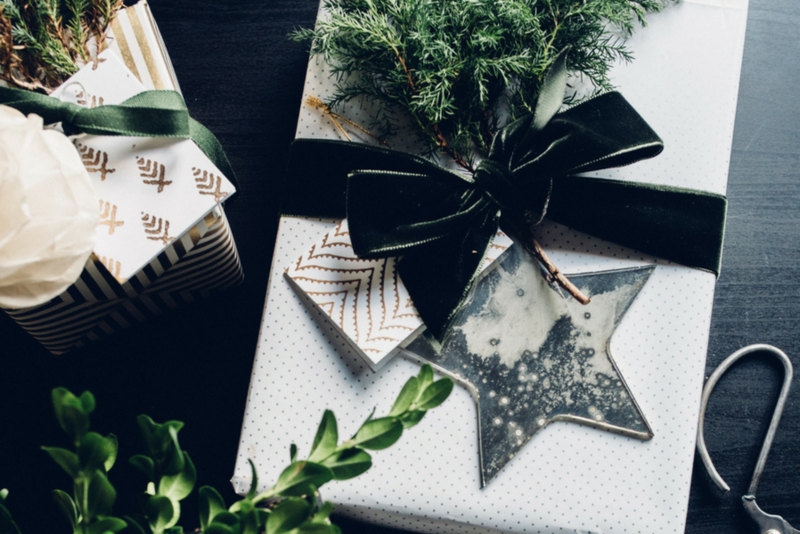 Whether you’re going to a Christmas party or any type of event, here are 15 creative gift wrapping ideas you should try. It is said that Christmas is for children. The spirit may be lost among adults, but the merriment is important for kids. 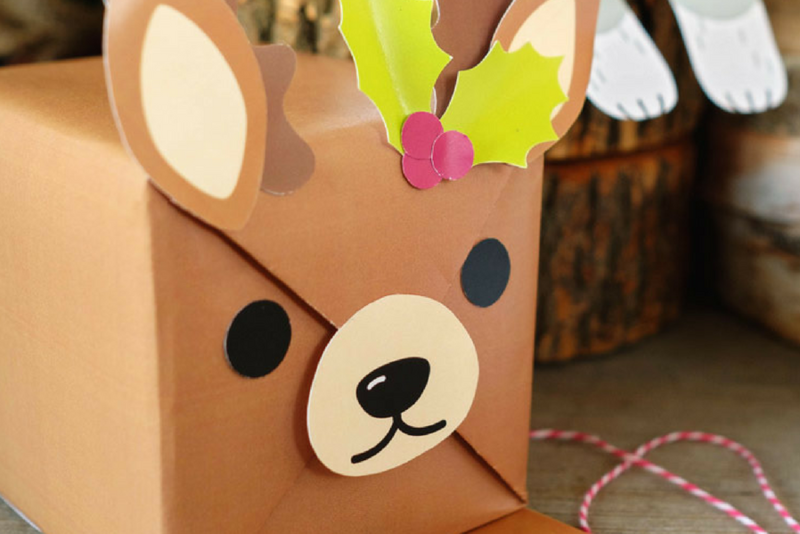 One of the hottest gift wrapping ideas for kids is the animal theme. You can make your own cut-outs from art paper or print templates. 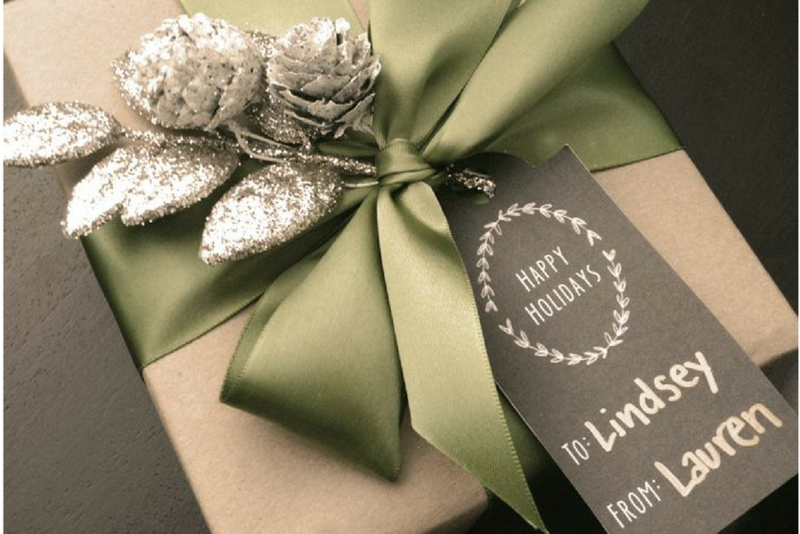 Are you tired of the tacky gift wrappers sold in stores? For your corporate gifts, go for elegant Christmas gift wrapping ideas. You can choose solid-colored paper to wrap your gifts or a chic box. Tie the box with a white or black ribbon, and you’re done! 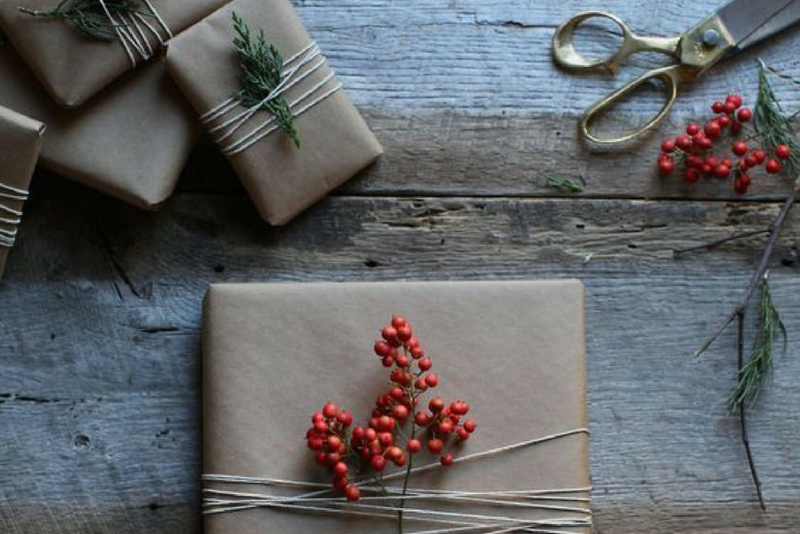 DIY gifts and wrapping ideas are the best! 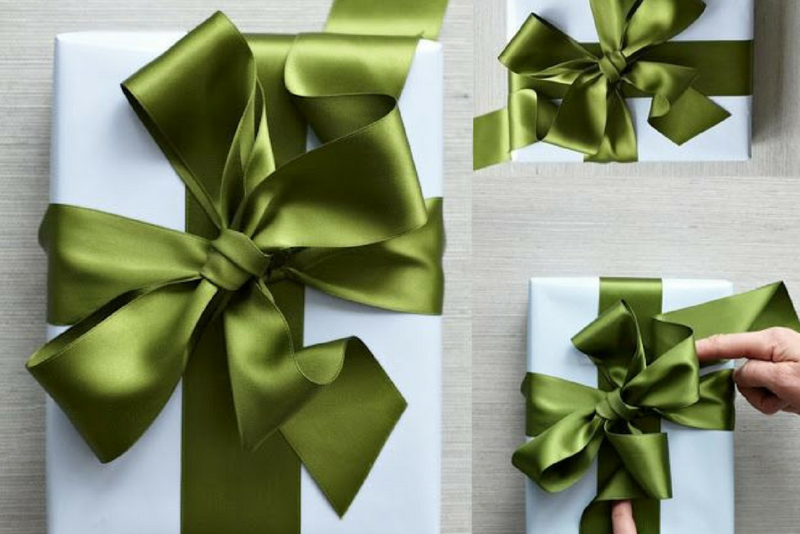 Unique holiday gift wrapping concepts may just be lurking inside your drawers, such as unused yarn, forgotten art papers, and extra Christmas décor. Put them all together and you have an exquisite gift wrap. Who says Christmas is limited to red, green, and yellow? 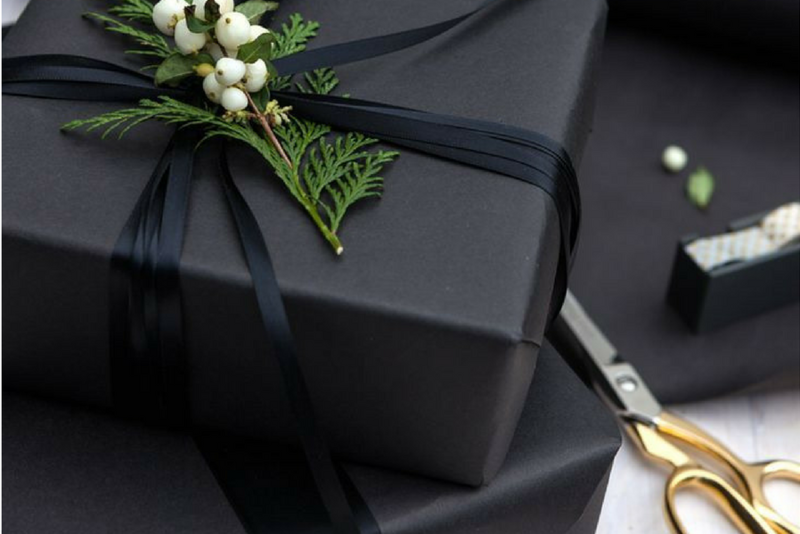 For the man in your life, use chic black gift wrappers and ribbons. Gift wrapping ideas for him should reflect his personality: masculine, mysterious, and subdued. What else better fits these traits than a black-themed wrapper? You can come up with your own gift wrapping techniques. Do you love doodling? Buy black or any dark-colored wrapper and gel pens. You can opt for art paper that won’t smudge gel or ink, then doodle away. No need for gift cards or tacky gift wraps. 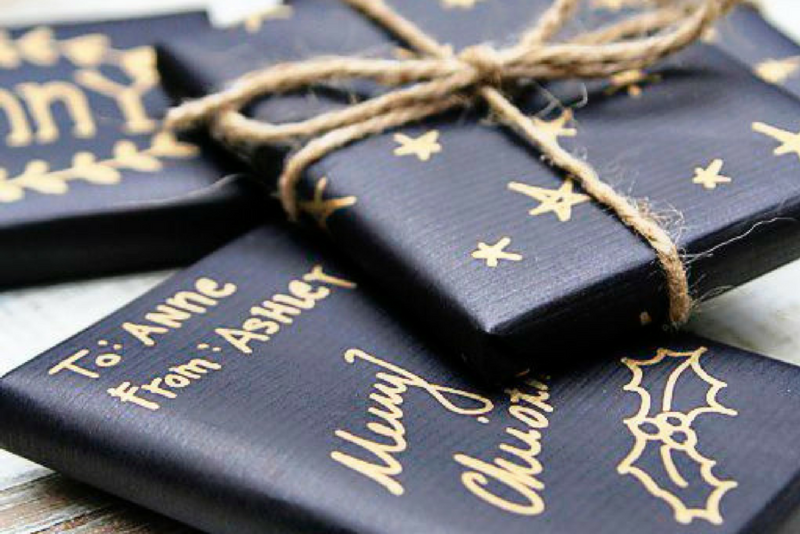 Do away with the traditional wrappers with outrageous designs by designing your own gift wrap theme this Christmas. Put organic elements such as decorative twigs and dried flowers. You can also print or sketch designs for the cards. Can’t think of a suitable gift wrapping for your female boss? Gift wrapping ideas for her should reflect her personality: simple, classy, and refined. Choose elegant ribbons and handmade silver garlands. You can also opt for a silver paper bag. Are you in a rush? No time for gift wrapping? No problem! Grab stylish boxes and thin ribbons. The key is to choose complementary colors. A mix of black and pink is just fabulous! Organic elements are hot trends in 2017. 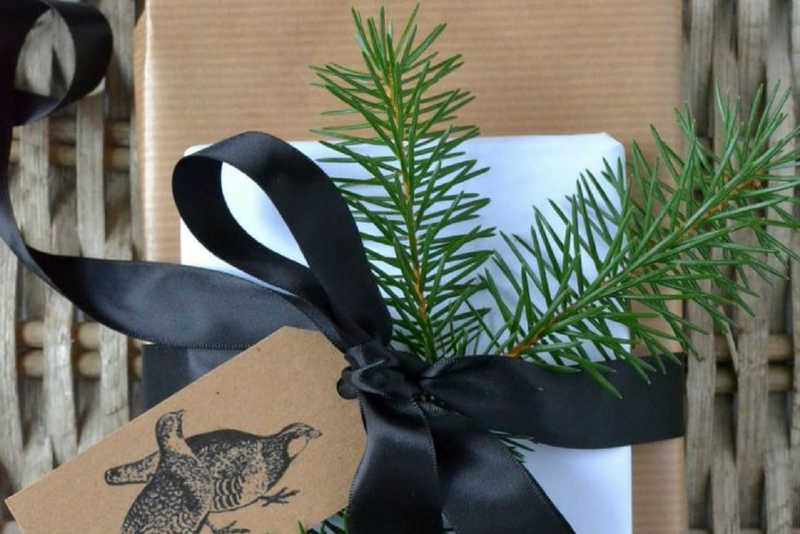 For artsy gift wrapping ideas for Christmas, use lots of twig ornaments, little plants, and dried flowers. Let the plants pop out by opting for white-and-black wrappers and ribbons. Aside from red and green, gold and silver are essential Christmas colors. Gold never goes out of style. It’s highly flexible as you can pair it with any shade—white, black, green, etc. 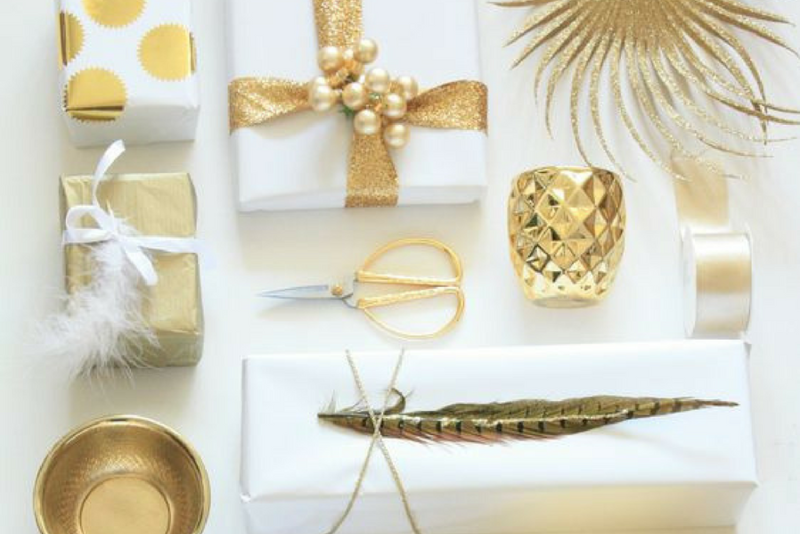 Put a splash of gold in your gift wrapping whether in the paper, ribbons or ornaments. Avoiding a cliche gift wrapping idea for Christmas? 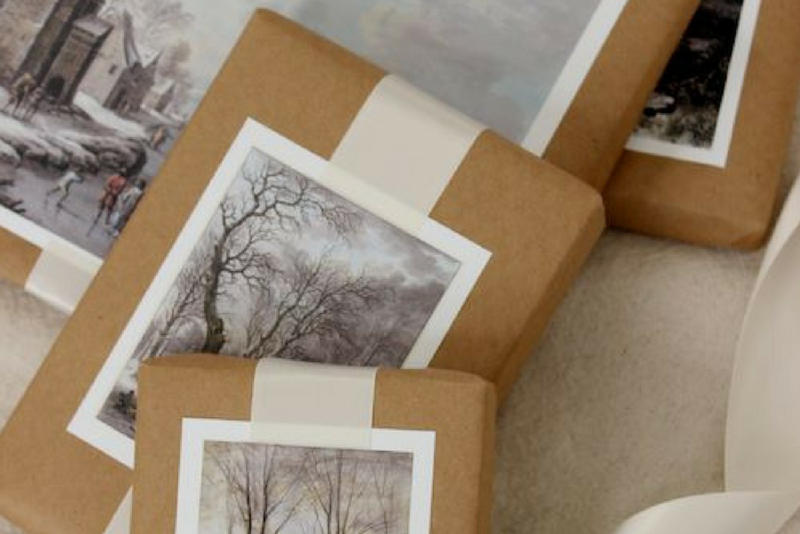 Try one idea shared on social media—decorating wrappers with postcards! To allow the postcard design to pop out, choose a solid-colored wrapper. 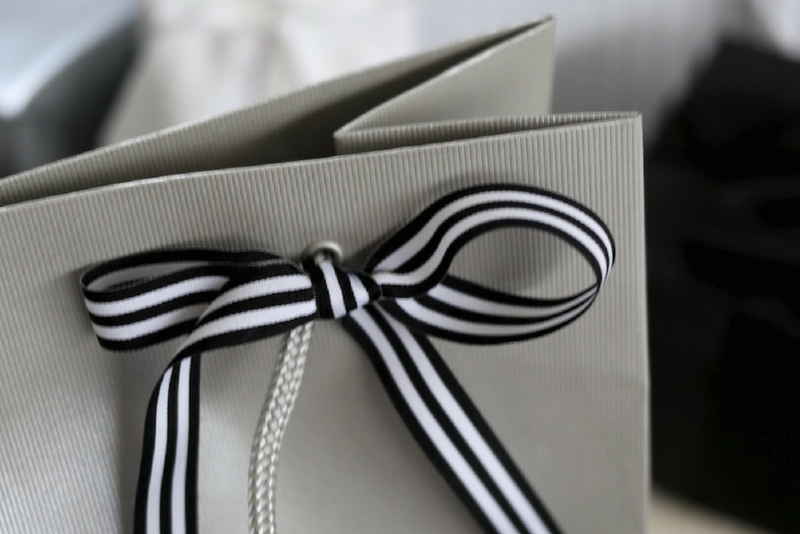 There are gift items that are better presented in paper bags such as wine, chocolates, and fragile decors. These bags can also be repurposed by the receiver. Put a speck of style in dull paper bags by adding fun ribbons. Others include Japanese paper and balloons. 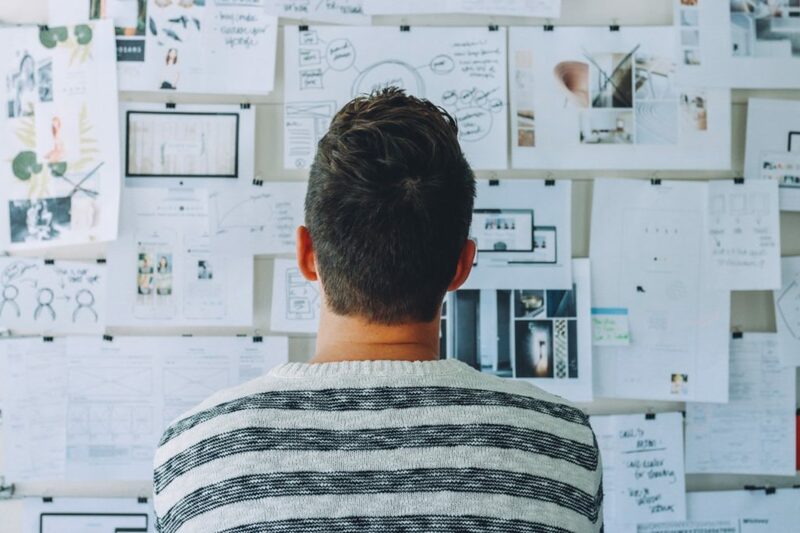 The Christmas season is a perfect time to flex your creative muscles. Redesign your condo, create your own yuletide season ornaments, and explore unique ways of wrapping presents. Pre-designed wrappers are so yesterday. Go make your own! 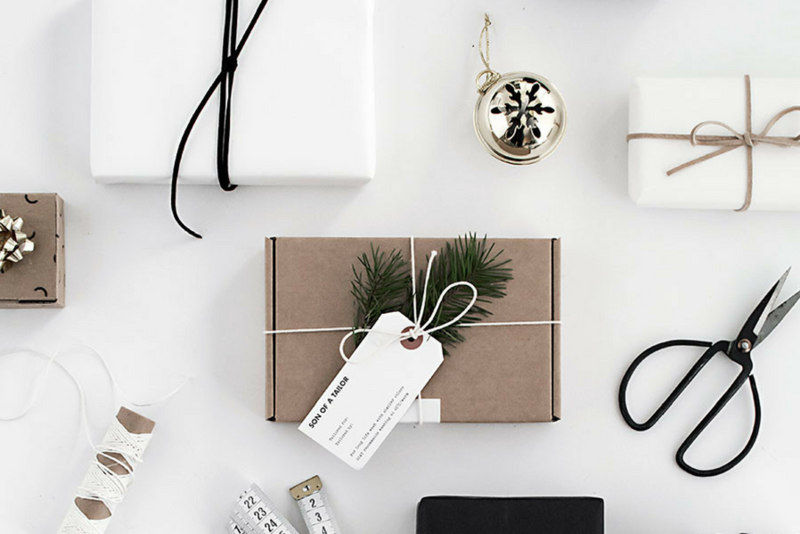 Are you giving away lots of gifts to officemates, neighbors, and clients? 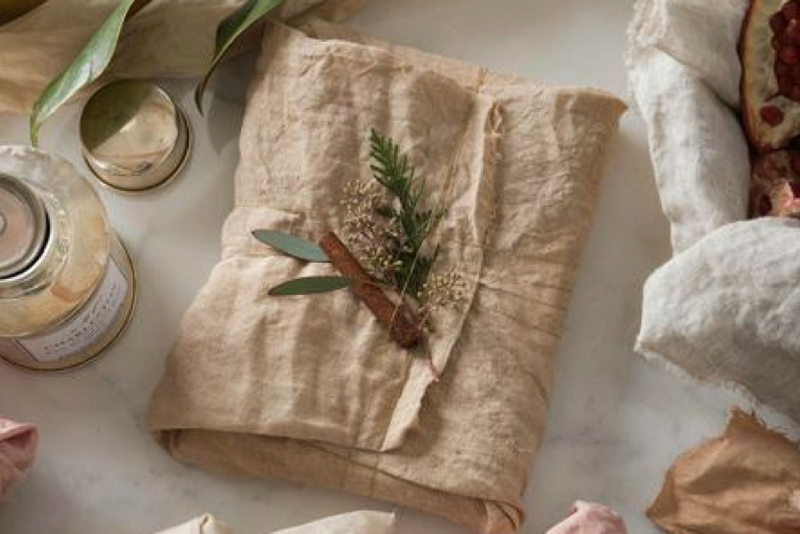 Save time and effort by skipping the tedious wrapping and opting for brown paper bags. 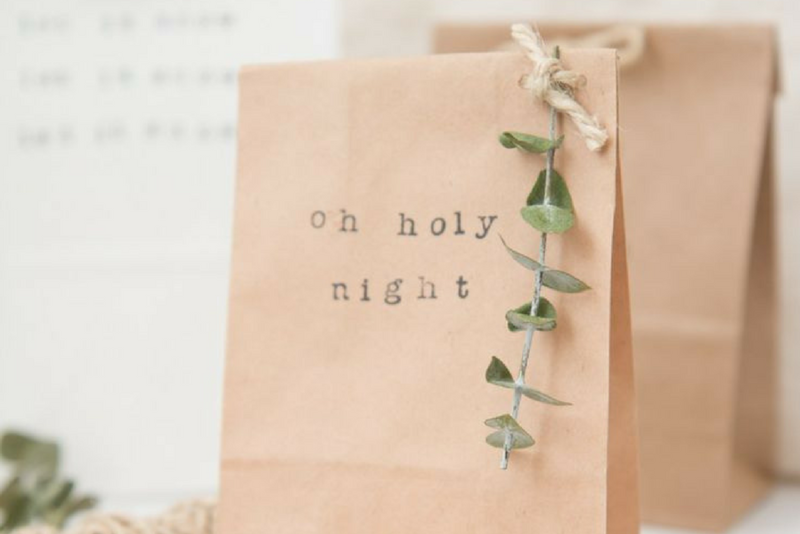 You can print notes on the bag and add simple yet appealing Christmas décor. This gift wrapping idea is recommended if you’re giving presents to a lot of people. Christmas is traditionally a season for gift giving. However, don’t forget that the real spirit of this annual celebration is embodied in the miraculous birth of an infant in a stable. 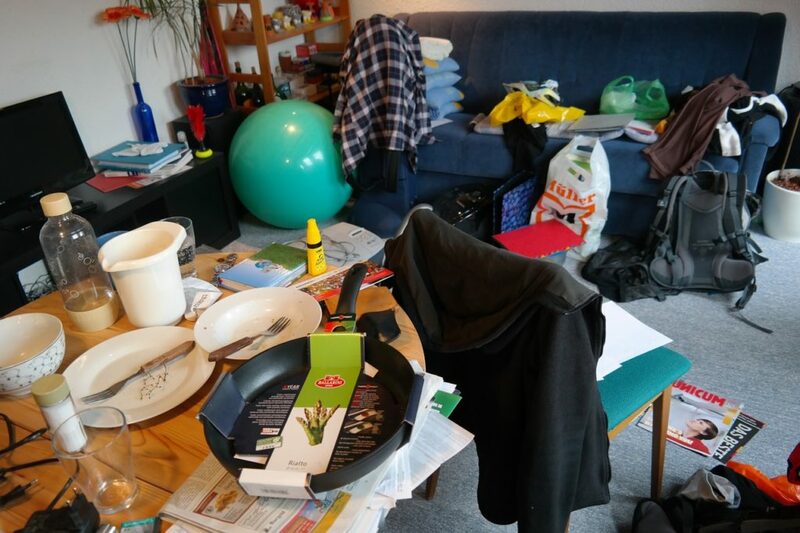 Let us not lose ourselves in materialism. The best gifts are still those invisible to the naked eye. 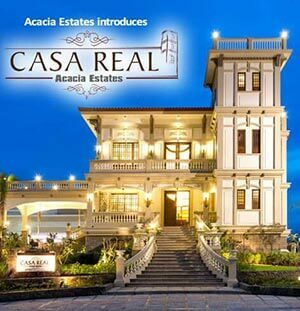 Enjoy quality time with your family and friends: the true purpose of condo living.